This week finds our community committed to our annual summer community days, aka LLL Days: Learning, Leisure and Legislation. They begin Tuesday night and run through Saturday. The Learning this year includes the area of Wellness: both for each of us personally and for the group communally. Additionally, there is always time for good community discussions on issue of import for all. Leisure will find us with time for our own hobbies and interests along with reservations for the Erie Playhouse production of Fame, the musical based on the story of the New York City High School for the Arts. 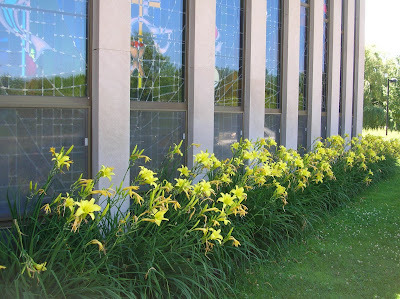 Finally, Legislation comes in the form of Monastic Chapter meetings that are always needed since we are both a non-profit corporation of the State of Pennsylvania and a canonical entity within the Catholic Church and the Federation of St. Scholastica. Though all three will be interesting, the real enjoyment comes from just spending 3-4 days together, which strengthens the bonds of friendship and community no matter what we are actually doing! 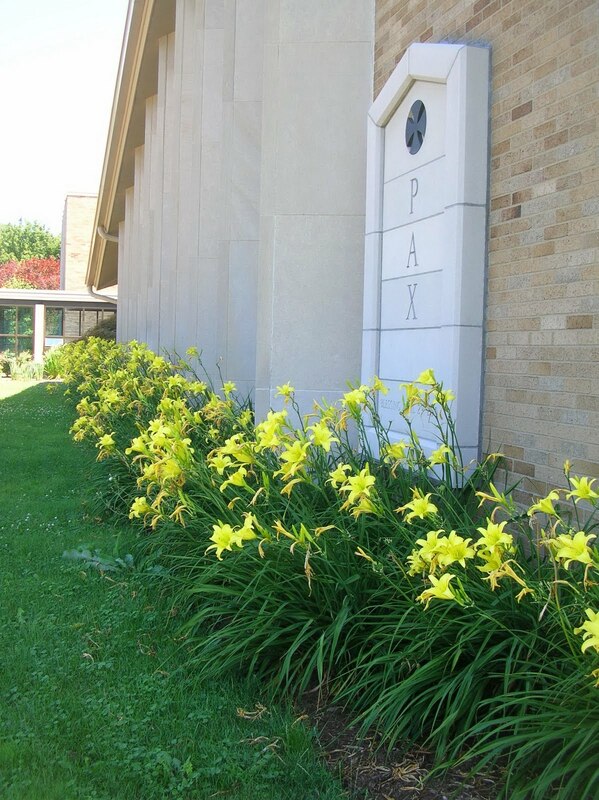 Each year for only 2-3 weeks our chapel is rimmed by these gorgeous yellow lilies. Beautiful.